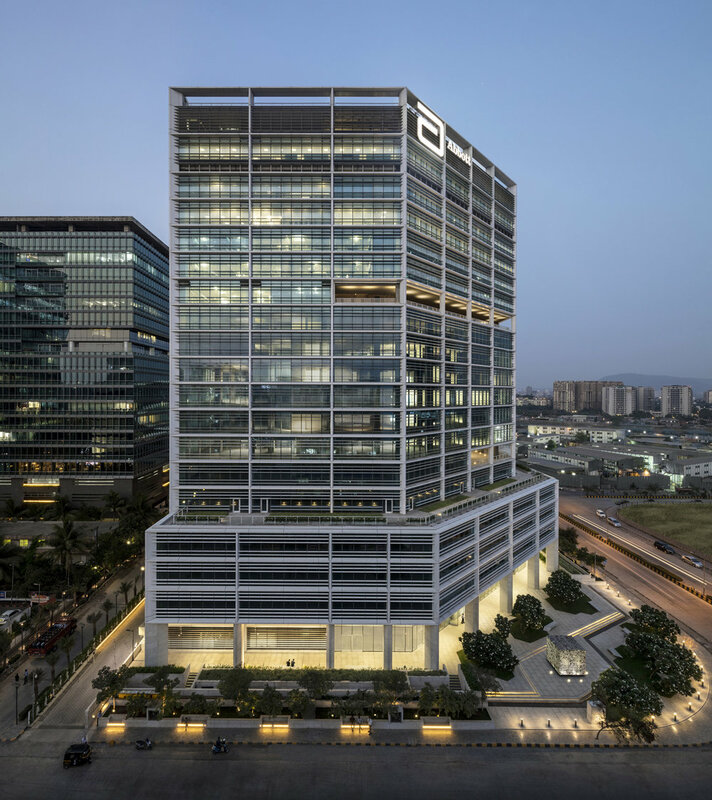 The first eco-friendly commercial building in Mumbai, Godrej BKC provides 111,000 square meters of office space in the financial hub of Mumbai. 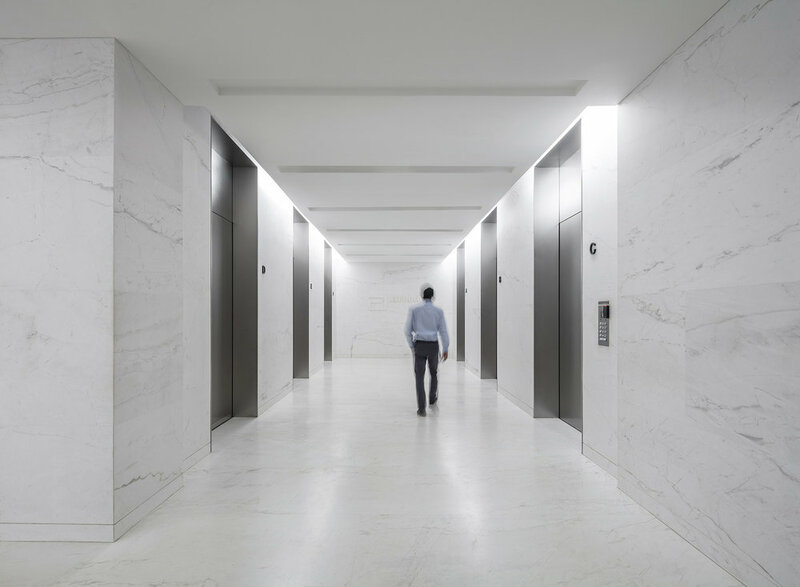 SOM’s design for the 19-story building creates an open and flexible work environment while accommodating the diverse needs of growing companies. 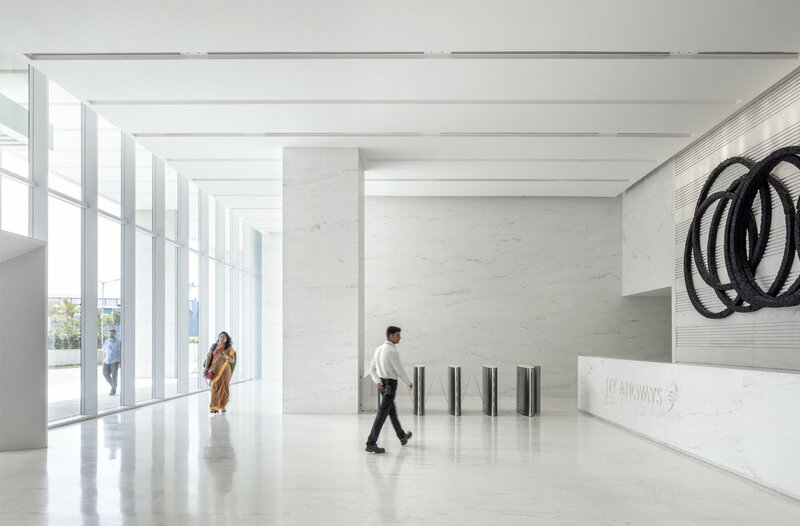 Targeting IGBC (India Green Building Council) LEED® Platinum certification, it incorporates a variety of sustainable features, including an all-glass, high-performance facade that mitigates heat and radiation while providing natural daylight and expansive views. Other green elements include a roof garden, responsible landscaping with native and adaptive species, and energy-efficient equipment. 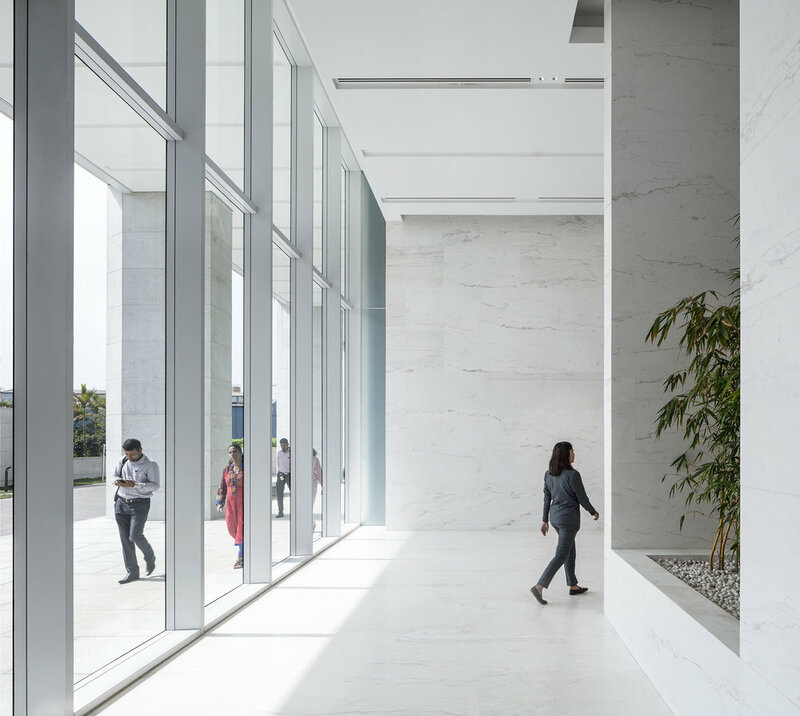 Godrej BKC also utilizes stormwater and recycled water for plumbing, reducing its dependence on municipal and external water sources. Onsite bicycle storage, ports to charge electric vehicles, and preferred carpooling spots encourage eco-friendly commuting. The front plaza features a sculpture by Subodh Gupta, a contemporary Indian artist.